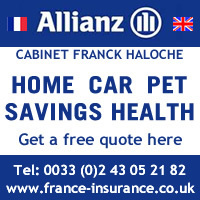 According to the rules for car insurance in France, all vehicles must be insured, even if they are not in use. Vehicle insurance policies are either third-party au tiers, the legal minimum; third-party fire and theft au tiers illimité or tiers complet; or comprehensive cover tous risques. With the comprehensive cover, however, always check the small print for exclusions. The cost of your policy depends on your accident and claims record bonus-malus so, if you can, ask your previous insurer for documentary proof of your record. If you were last insured in the UK, your last renewal notice or a photocopy of your contract should be sufficient. Proof of insurance is a little green tear off section that comes with your proof of coverage – carte verte – that must be clearly fixed to the windscreen of your vehicle. You will receive the carte verte when you take out a policy. You are legally required to always carry the documentation proving that your vehicle is insured. So, along with your vehicle registration papers, you need to have your attestation d’assurance. Also needed is un constat amiable d’accident, an accident report sheet that you fill out in the event of an accident. It is advisable not to leave these papers in the glove compartment. If the vehicle is stolen, or something happens to it while you are not there, and you cannot produce the documents for any reason, your insurer may not be required to honour the contract. Who can drive your car? Insurance in France tends to cover the vehicle – unlike in some countries like the UK, for example, where is covers the driver only – so make sure regular drivers are named in the insurance policy. Some policies contain restrictions as to whom may borrow the car, even temporarily. Even if it allows for third party drivers, there will be some restrictions according to age and frequency of use by other drivers. These are likely to be contained through ‘excesses’ that apply to other persons’ damages if the driver is under 25 years old or has less than three years driving experience. If you are using your vehicle for work, you will need to declare this – especially important if this includes driving people around. As the risk is considered to be greater, your premium will be higher. Motorbikes are treated similarly to cars, although there isn’t a no-claim bonus for mopeds. What happens if you have a car accident in France? If you have an accident, the first thing you need to do is fill out – in English if your French is not up to it – the accident report form. You need to give your insurance details and details of the accident – this does not apportion blame, just the facts. The constat amiable d’accident must then be signed by both yourself and the other party involved. It is a carbon copy sheet, and both parties send their copy back to their respective insurer to establish responsibility. If you do not understand what has been written by the other party do not sign the form as anything signed is taken as evidence. The constat amiable is also available in electronic format, through the ‘e-constat’ app that you can download on your mobile device. If two cars are involved, use either your constat amiable d’accident or that of the other party – only one form needs to be filled out. If more than two cars are involved, a separate form should be completed with each party. If a driver refuses to sign the form, make a note of the vehicle registration number and take the details of any witnesses or police officers. Once the form has been filled in, you have five days to return it to your insurer. If neither you or the other driver has a constat available then the report can be done by letter and sent to the respective insurance companies within five days. They will then analyse the evidence to assign responsibility. French car insurance carries a no-claims bonus system. Some drivers offer to pay directly for damage they cause so as to avoid an increase in the cost of their policy. If you decide to accept such an offer, still fill in the constat amiable for back-up protection in case the other party defaults on the deal. In France the process of cancelling your policy is quite formal, although it has relaxed a little compared to previous years. 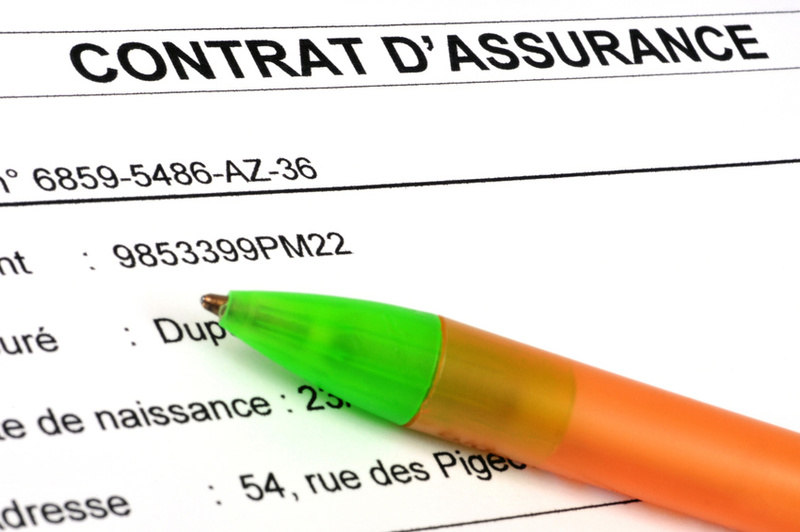 To cancel your insurance you must send the company a formal letter of cancellation résiliation by registered post. After the first year has elapsed, however, you can cancel at any time by mail, telephone, or email, and the new insurance company can even act on your behalf on the formalities of cancelling the existing policy. 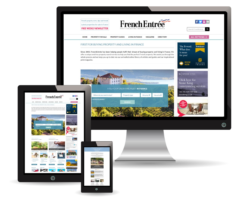 If you do not live in France full-time you can use your existing insurance company but there are a few things to keep in mind. Check if your insurer will only cover third party while your foreign registered car is in France. It is advisable to extend your cover to full comprehensive. Also look into breakdown insurance as many companies offer packages with English-speaking assistance. As well as road-side assistance, other issues to consider include replacement parts and whether the costs of getting your car back home. should it be required. Another option is a Green Card which is a legal document issued by car insurance companies and recognised within the EU. Although it is not a requirement to have one it is advisable to ask your car insurance company for one – you can never have too much documentation in France! There may be a small charge for this – it depends on the company. If you have a second car in France it must have at least third party insurance and you must inform your insurance company when it is off the road. However, your insurance payments will continue during this time. The information in this article is provided for informational purposes and does not constitute legal, professional, or financial advice. We encourage you to seek the advice of a relevant professional before acting on any of this information. Any links to other sites are provided as sources and assistance, and are not intended as an endorsement. In France,the policy does not strictly cover the vehicle-it is what would be called in the UK “Any Driver”.And this is a lot more expensive than “Named Driver/s”.